Roses need at least 6 hours of sun to do their best. In our very hot climate roses appreciate some afternoon shade if possible, or you may get away with afternoon sun for at least 4-5 hours. Some roses tolerate a little more shade than others, but the more sun, the more blooms and the better disease resistance. 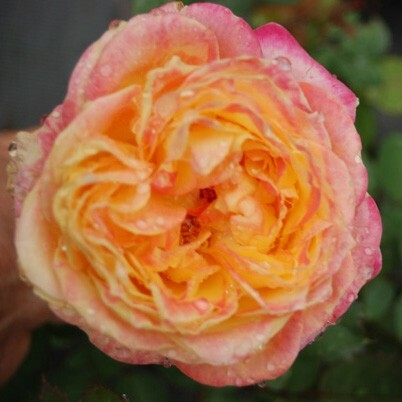 Roses enjoy a deep, daily watering for the first few weeks after you plant. Then continue watering on a regular basis, which means in the hottest part of the summer, daily, other times of the year 2-3 times a week. Roses are heavy feeders and absolutely love compost, manuer, fish emulsion, bone meal, rock phosphate, milorganite, alfalfa and kelp meal. They enjoy a slightly acid soil and also need a good mulch to keep weeds down and retain moisture. Dig a hole deeper and wider than the root ball and fill with compost. Roses need a lot of room. Some of these varieties can get on average 4-7 feet tall and sometimes as wide. They do not like to be crowded and appreciate air flow to keep the spread of disease down. 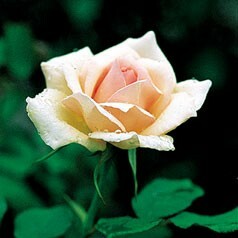 Discard leaves with blackspot and keep the base of the rose clean. After rain, black spot is more frequent even with resistant varieties. To avoid using chemical sprays, the following are organic formulas to spray for black spot if it becomes a problem. Black Spot spreads from splashing. And around the base once a week or every other week during season. you can add a little All Seasons Oil to the mixture as well. grasshoppers and other insects that tend to eat blooms. Roses all bloom at different times and schedules. Many bloom prolifically during spring and fall with less or no blooms in summer. Like us, they donâ€™t like the high humidity either! Be patient, learning to appreciate the changes taking place with each rose. They will become like close friends, sharing their beauty & love!